Rita B. Mahony (Sullivan) of Watertown April 6, 2018. Born in Bantry, Ireland Sept. 13, 1927 to Patrick and Bridget Sullivan. Loving sister of Maura Harrington of Ireland and the late Sheila Coakley and Margaret Cotter. She is also survived by her longtime companion John Galvin of Belmont and many nieces and nephews. 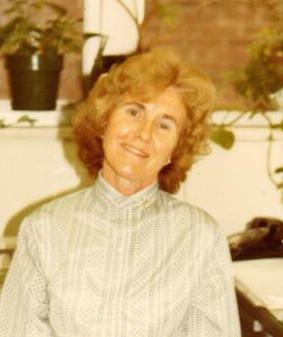 Rita was a longtime Watertown resident and she was employed by Harvard University for 44 years as an Accounting Assistant. Funeral from the Brown & Hickey Funeral Home 36 Trapelo Road Belmont on Saturday April 14th at 8:00 AM. Followed by a funeral mass in Sacred Heart Church 770 Mt Auburn St, Watertown at 9:00 AM. Relatives and friends invited. Visiting hours Friday from 4:00 - 7:00 PM. Interment Belmont Cemetery, Belmont. The family would like to send a special Thank You to the Staff at Meadow Green Nursing Center for the care they showed Rita in her time there.